New version, new features. The new pCon.box release* is now available and it’s bringing with it more efficiency and even more grounds – both literally and figuratively – for customer-oriented solutions. *Please note: The pCon.box update for Windows will be available soon. Until then, you can communicate and visualize your projects with the current version of our sales app. Gaining ground in the box. Most most beautiful products have no effect if they don’t fit into your customer’s space. From now on, you can load floor plans into the planning area and plan your solutions without sorry. It takes just a few seconds for your room plan to go from paper or the photo gallery into your plan – for fitting customer solutions. The usabilitiy for the app’s first steps have been improved. Now, the user will start directly in the planning area when opening the app and can immediately begin planning. You no longer have to start by saving the project, instead you can choose to do so whenever you’d like. Projects now include all geometries and materials when saved. This allows you to access a project even when the OFML data is not longer available. Furnishings can be highly detailed. And these details should be well presented, as they tend to make all the difference. To ensure interaction in the planning area that functions as desired, interactors have been optimized. Small changes, big effects. An alphabet scroller on the side of your manufacturer overview allows you to find catalogs faster. In addition, backwards navigation has also been optimized. 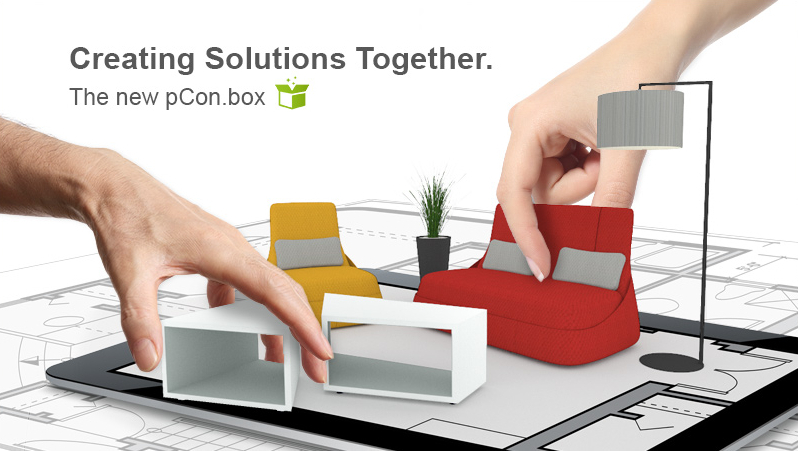 In the next blog, you can read more on floor plans in the pCon.box, your app for consultancy and sales. Have fun with the new features! This entry was posted in Presenting, Sales and tagged app, pCon.box, sales. Bookmark the permalink.